Please click on Autumn Events 2018 to view our events from September to December 2018. 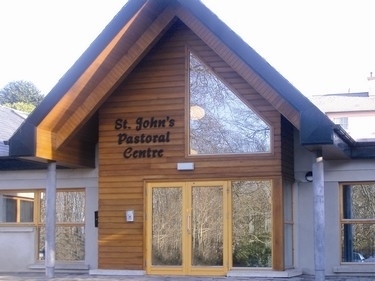 St. John’s Pastoral Centre is located in the grounds of Bishop’s House, John’s Hill, Waterford. It contains conference & meeting rooms, Diocesan Offices, Accord, Family Ministry, Child Protection Office & Communications Office. More information on these offices can be found under ‘Our Services’. Diocesan implementation group for the programme of ongoing care and renewal of Priests. Go over the bridge and follow the signs for City Centre and N25. Keep following the route for N25 until you reach St. John’s Church which will be on your left. At these traffic lights, turn left. Keep going through the next set of lights, up John’s hill. When you reach the top of the hill and it levels off, you will see a housing estate on the left called ‘The Elms’. At Butlerstown roundabout, take a right and follow the signs through for Hospital. Keep going through each roundabout until you reach the Farronshoneen roundabout. Keep going straight until you reach a set of traffic lights on a major junction. Go through this set of lights. St. Patrick’s Hospital and the Cheshire Home is on your right.